The dystopian setting of the Authority City continues in this sequel to The Choosing with an increasingly dangerous regiment of experimental vaccinations to control the people, and a plan to find and exterminate the rebel camp of the Seers, lead by Remko Brant. Against high stakes and multiple disappointments, Remko struggles to work through his anger and fear in order to realize his identity, and discover his calling. I enjoyed the first book in this series, and was glad to resume the story with this one, which I found better than the first. It reads as popular teen fiction, with relatable characters, a good amount of suspense, and lots of action in the second half (the beginning was interesting enough to keep me reading, but slower paced). The end was particularly good, and left me wanting to read the final book of the series! I especially liked the juxtaposition of the corrupt society’s initiatives to control and manipulate the people, compared with the spiritual teaching of the rebels to surrender to God by finding their identity in Him. The spiritual metaphor, on this note, is very positive, although theologically it is a bit shallow. 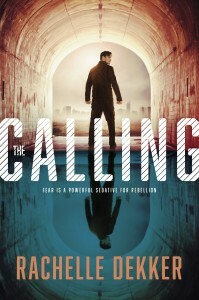 I had a small issue with this in the first book as well, in that the story presents a partial truth in its portrayal of salvation–presenting salvation as something that one simply realizes as one’s identity, rather than the biblical process of dying to oneself through repentance, in order to be exalted as a new creation through Christ (a transformation into salvation, rather than an epiphany that no transformation is needed because one has already been made perfect). This is an important difference to me, and one I would emphasize to my kids before letting them read this. But from a story perspective, it is very good. And the process of surrendering one’s fears is also strongly presented. I received a complimentary copy of this book from Tyndale House Publishers. St. Augustine of Hippo wrote an autobiographical work called Confessions; and within this he mentions his pain in parting with his concubine, whom he loved dearly. 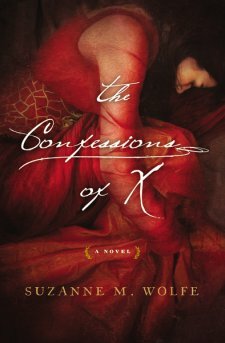 The Confessions of X brings to life a fictitious rendering of this anonymous women’s story–her own autobiography unknown to history, yet having made a permanent impression on Augustine who thus influenced the early Christian world. The historical aspects of the book are well researched, and the author’s minor liberties with the factual account and chronology achieve her goal of dramatic storytelling without taking away from the historical richness. Truly, this is one of my favorite narratives of the year as the characters touched me–even to tears, which is very rare for me while reading. It is a brilliantly written novel that captures the human condition, and reaches the soul, while also providing a poignant doorway to Northern Africa and Rome in the fourth and early fifth centuries. Augustine was not a Christian until later in his life, and this is not a “Christian” novel in the tradition of lightheartedness and censoring, but an honest one that tells the truth in every detail: not shying away from pagan worship, sensuality, the brutality of the games, or the pains of childbearing, illness, and loss. The poetic writing evokes the emotions and brings each setting to life–for better and worse, and however graphic to the mind and senses. I was most touched by the exploration of human and divine love, and was left with a greater sense of Jesus’ love through the multi-faceted metaphor of these characters’ lives, and the impossible choices they make along the way. I received a complimentary copy of this book from Thomas Nelson. Yeshua’s (Jesus’) resurrection is told through the paralleled perspectives of Roman Tribune, Clavius (who is tasked with overseeing the crucifixion and tracking down Yeshua’s body when it mysteriously goes missing), and a Jewish widow, Rachel, with whom Clavius is having an affair. Risen starts strong: it is well contextualized within its authentic historical setting (with a couple very minor exceptions), has interesting characters with relatable flaws and struggles, and offers new perspectives of Yeshua’s death and resurrection. Unfortunately, the emotional development of the main characters is not carried through to the end of the narrative, and toward the end the story fell flat. The final chapters felt like an attempt to fit as much of Scripture as possible into the story, and were awkward to read. I also wanted more development and conclusion of some of the dramatic plot moments leading up to the end. Likewise, I was disappointed by the glaring omission of Yeshua’s ascension into heaven, which is theologically one of the most significant aspects of His resurrection. 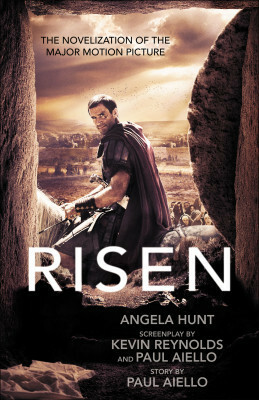 I have heard great things about the Risen movie, and understand that the book is quite a bit different–adding characters and content. So while I did not love the book, I am looking forward to seeing the film when I get the chance.